Last year, I bought a Mike Piazza home-white Dodgers jersey off Instagram from a reformed cholo. I purchased this jersey for a few reasons. One was that his other customers raved about the quality of these $60 jerseys, even though my customized jersey couldn’t possibly have fallen off the back of a truck. Another was that I don’t trust active players not to be terrible human beings, so I’d be embarrassed to wear their names on my back (as if wearing another grown man’s name on your back is implicitly cool) once their faults came to light. But the main reason is that Piazza, like all other retired players, cannot be traded again. Mike Piazza’s trade to the Florida Marlins was my first devastating sports memory. But looking back, it was for the best, in the same way that getting your arm ripped off by a stop sign is the most effective way of learning to keep your hands and feet in the vehicle at all times. Like most 8-year-old Los Angeles Dodgers fans, my favorite player was Piazza. He was the best of an astonishing five Rookie Of The Year winners in a row for the Dodgers, a power hitter during the steroid era, and a family friend of Tommy Lasorda’s since he was a child. So when Piazza and Todd Zeile were traded to the Florida Marlins for Gary Sheffield, Bobby Bonilla, Charles Johnson, and two other players, it laid waste to my nascent fandom. I didn’t follow baseball for another five years. 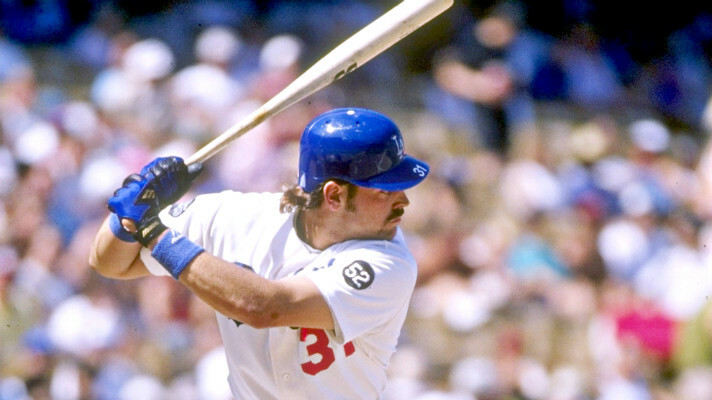 He’ll be remembered as a New York Met, but the best stretch of Mike Piazza’s Hall of Fame career was spent at Chavez Ravine. While I didn’t realize it at the time, it taught me a valuable lesson about the creeping corporate influence into every facet of modern life. Piazza was traded because the Dodgers new ownership group, Rupert Murdoch’s News Corp., was looking to avoid paying Piazza the mega deal he was entitled to following the 1998 season. Piazza wasn’t the only casualty from the O’Malley family selling the Dodgers after a half-century of ownership. GM Fred Claire, who had no part in the trade, was fired before the season ended, as was manager Bill Russell. Mike Scioscia and other members of the coaching staff who would soon win a World Series in Anaheim were also let go. The manner in which News Corp ran the Dodgers was a case study in ineptitude and blandness. Even the dumbest ’90s major label, A&R, knew that after signing a hot indie band, you didn’t send a cease-and-desist letter to their unofficial fan club. But it didn’t just destroy a franchise for half a decade. It also surgically aborted a piece of their history. Mike Piazza will go into the Hall of Fame later this year as a New York Met, as he should, and the only reason that’s happening is that a corporation wanted to cut payroll. There was no longstanding feud or grudge-solidifying words exchanged. A few cells on an Excel spreadsheet is what prevented Dodger fans from celebrating their first Hall of Famer since the Clinton administration. After this trade, I followed sports with a much more cynical viewpoint. And there will always be that fear in the back of my mind that Jeanie Buss will unexpectedly pass away and her siblings will make the executive decision to sell off the Lakers to AEG. But at least there was a small lining to this tale. In 2004, News Corp sold the Dodgers to a nice Boston clan, the McCourts, who made everything right again at Chavez Ravine with their honest family ownership. Pablo Goldstein is a comedy writer from Los Angeles. You should follow him on Twitter.